While teaching courses in the computer science department at the University of Texas at Austin, I came to believe that 21st century technology—especially nanotechnology, genetics, artificial intelligence and robotics—will transform reality. In the process, humans will become post-human; that is, our descendants will evolve to resemble us about as much as we now do the amino acids from which we sprang. Moreover, humans and their post-human descendants will understand and control matter, life, and mind. 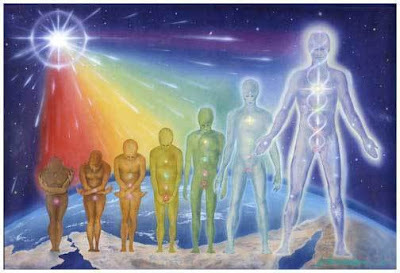 I view these developments as part of cultural evolution which itself is a part of cosmic evolution, with both processes producing higher and more complex forms of life and mind. However at the moment the above is science fiction and subject to trillions of variables; contingent factors beyond our imagination will lead to some unimaginable future. Thus evolutionary progress is not inevitable, and in no way do our views entail technological optimism–technology can be used for good or ill. But even if our technology can lead to a glorious future, it could be halted by terrestrial or celestial disasters, or by dogmatists, zealots, religious fanatics, and others who oppose progress. Such individuals may have legitimate fears about the repercussions of future technologies, but they may also dream of a past paradise, fear what they don’t understand, believe they possess a monopoly on the truth, or think humans subservient to super beings. But for whatever reasons, they oppose change, preferring stasis and stagnation to dynamic, progressive evolutionism; they delay or prevent the groundswell of initiative, creativity, inventiveness, perseverance, and hope that drive evolution forward. They are fearful that the new world will render them, and their beliefs, anachronistic. They are the enemies of the future.